There were azure clouds but it didn’t smell right. We expected immunity but it didn’t come. It seemed almost effortless in the end. banishes sorrow but that’s no matter. 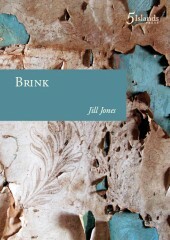 Brink is a powerful, exciting and very modern poetry collection that demands repeated reading. In spite of its dark prophesy, it is deeply consoling.